This is a top of the range webcam designed for gamers which means it has fantastic streaming capabilities. 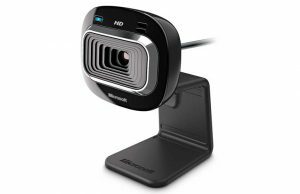 This one is the highest price point out of the ones we suggest, however, it is worth every penny.In fact, I think it’s probably the best webcam for under £100. This webcam lets you record and stream in HD1080P. It supports 60fps at 720p. This basically means if you are doing any fast action on your webcam such as dancing- it’s going to pick up your moves smoothly without jittering and lagging ( the tech term used for a delay in a video). It has a high functioning mic built into the webcam picking up the sound and transmitting sound from all directions; So if you’re teaching a musical instrument online it’s going to pick up the sound with clarity for you. Bonus feature: Comes with a fully adjustable tabletop tripod. Another one from Logitech. This one is very much at the lower price point. It does not offer the same quality features that their more advanced model offer, but still does what most people would consider enough for their needs. 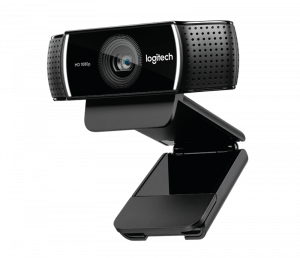 This is a good option if you are starting to stream more often as you teach online but are not ready yet to spend nearly £90 on a webcam. It has HD video quality at 720p. It also had a built-in microphone. But don’t take our word for it, check out the average 4.5/5 star review on their Currys website from an incredible 428 people! This lovely camera from Microsoft performs pretty well with a built-in mic that can pick up sound from multiple directions as well noise cancelling the acoustics that you sometimes hear on a video call. So this, in theory, should be pretty good for sound quality. I mean it has an average 4.5/5 star reviews from 904 customers, so people must be pretty happy with it. It records and streams videos at 720p HD at 30fps like most competitors. This is definitely a camera that is flexible (in the literal sense) to your needs. 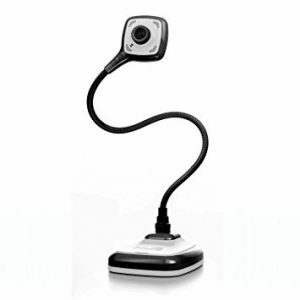 It’s super bendy neck makes it easy to position the camera where you want, so you are getting the best angle for streaming or recording in HD. It features full 360 rotation so you can share all of your surroundings. 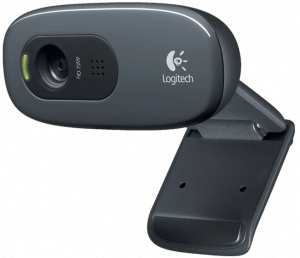 This is a great camera for those with a very tight budget; coming in at the lowest price on best webcam under £100. It’s the cheapest camera we have found but the best at this budget price. 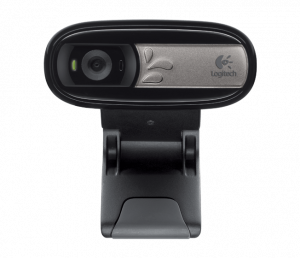 Logitech is the market leaders I believe in webcams. So if you’re going to go budget, then go with them. This webcam has a built-in mic meaning you don’t have splash out more for an external mic. It records in 1024 x 768 resolution. The universal clip also means you can attach it to a shelf or something else as well as your monitor.